FCE Scan® - Gait and Foot analysis. Professional, accurate & reliable. Our system is a registered medical device (the majority of gait analysis systems are not, you should always check this for reliability of results). Static and Motion analysis of Gait and Foot function in 2D, 3D or 4D. Video gait analysis in 2D and 3D. Pressure sensitive platform recording movements through the foot. Professional analysis can be provided whilst standing, walking and running. A full report is printed out and given to each client along with a care plan. Comparative analysis using different footwear for accurate running solutions. Add on analysis of Spinal and Pelvic bio-mechanics to show the influence of Spinal/Pelvic movement on Gait and vice versa. Gait and foot analysis provides information that is beneficial for practitioners and their clients. Weight distribution, centre of pressure tracking, foot rotation, sway area and balance are especially relevant when assessing a client. Successful comparisons are made from the bilateral information provided which aids with clinical assessment. The analysis is conducted statically and dynamically which is beneficial in both a clinical and performance setting. The cause of many conditions related to the feet and lower limbs can be identified. These include such conditions as plantar fasciitis, bunions, hammer toe, shin splints, achilles pain and ankle pain. People move around each day with abnormal gait patterns but they don’t experience any negative symptoms. As a result, the body is constantly under increased and unwanted stress which in turn can cause injury. On the other hand, from a performance point of view, an athlete may struggle to improve if their body can’t be used efficiently. Abnormalities can be identified by our Leg, Gait and Foot analysis and as a result can be corrected. 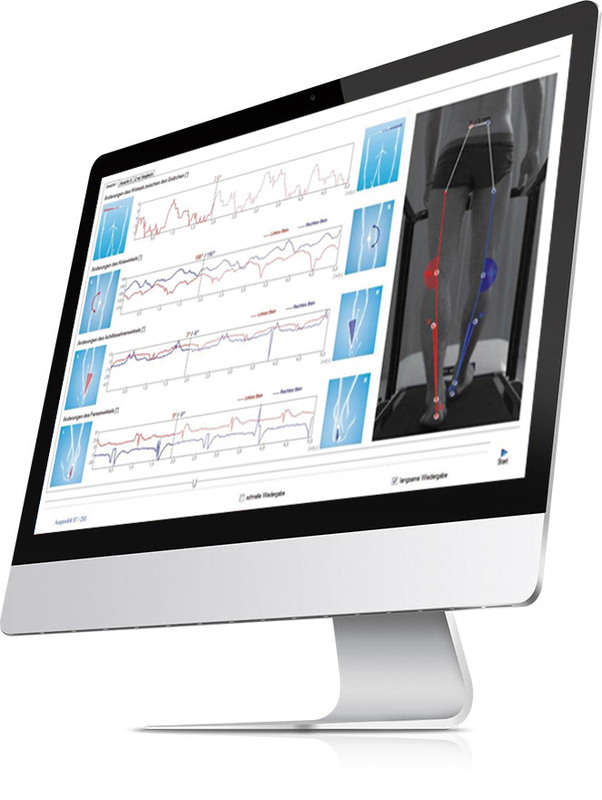 Gait analysis provides information on gait cycle phases, force and its distribution. Specific foot area contacts are also recorded along with step and stride length, ground contact times, track width, foot rotation and cadence. Specific joint angles are also analysed to determine varus/valgus and inversion/eversion. Information collated is used to accurately diagnose and treat gait issues. On request, we do provide an orthotic assessment. 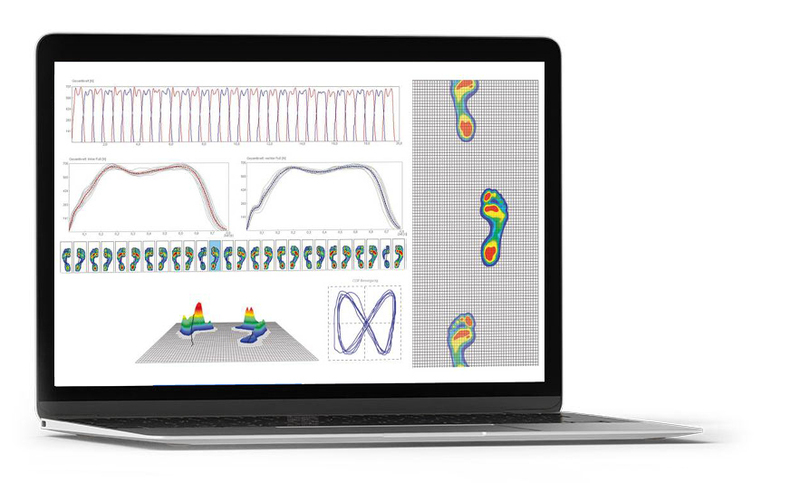 Our foot analysis is designed to provide you with the best type of footwear options to suit your needs. Clients of ours are analysed both with and without their orthotics to determine the best option. A major advantage that our system has is the ability to determine how the orthotic affects the whole body and not just the feet. These results are second to none and are only available in Ireland through our clinic.